Ireland is blessed with an abundance of dramatic scenery, some of the very best – I think – is found in Donegal. We spent a couple of days exploring this, the most northerly peninsula of Ireland beginning our trip in the mountains. 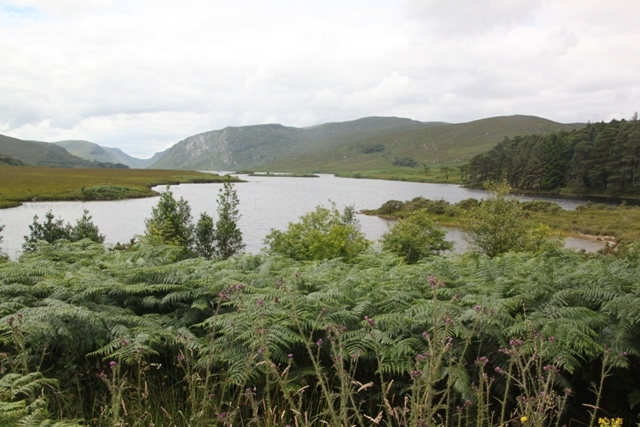 Such a variety of wild landscapes, breath-taking views on every turn (plenty of those too), we started in the north, crossed the border to Letterkenny and then just followed signs for Glenveagh National Park and the mountains. Just as easy as it sounds, driving was incredibly pleasant, hardly another car on the road it really felt like we were the only people, never mind tourists in this remote corner of the island. The scenery changed from urban to rugged, wild and gorgeous in the blink of an eye. I just loved it. 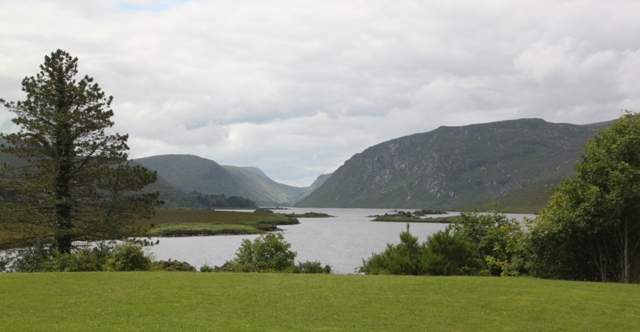 Glenveagh is one of six national parks in Ireland and takes up 16,000 hectares in the Derryveagh Mountains. The lands were a private deer forest before becoming a national park in 1975. Shortly after entering the national park area, with a very fidgety Son in the back, we saw signs for a visitor centre and decided a stop might be a good thing. Experience has taught us key to a successful scenic drive is as many stops as possible, this tends to keep boyish grumbling and twisty road nausea to a minimum. Always a good thing. We found a car park with a wealth of empty picnic tables, had our lunch and then set off to explore on foot. 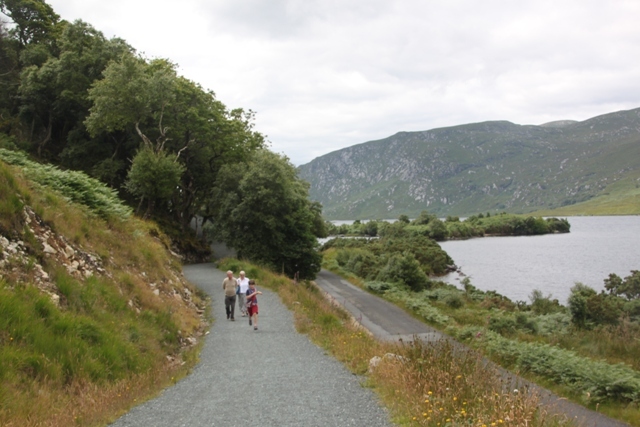 A fabulous walk and a stunning location, on the northern end of Lough Veagh there were trails, cliffs, waterfalls and Glenveagh Castle. 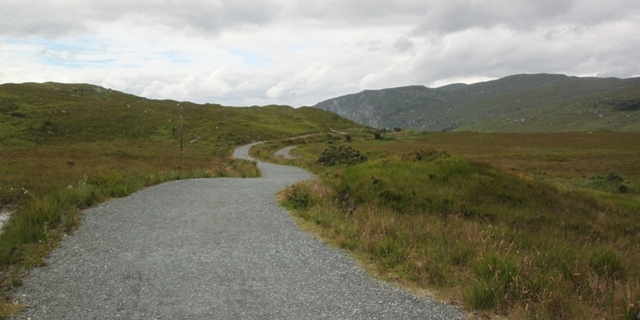 We walked an easy couple of miles and got some stunning views of the Valley of Glenveagh. 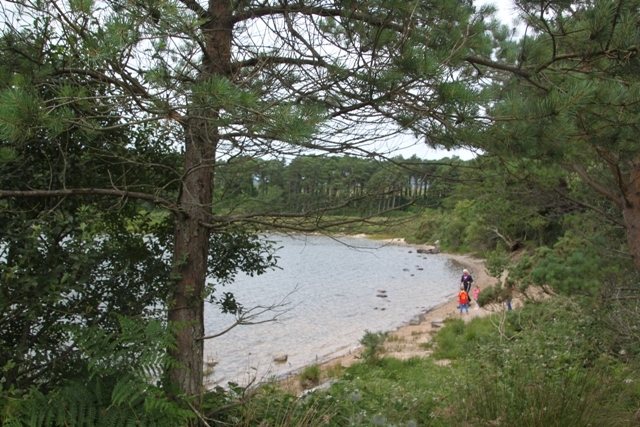 We didn’t go quite so far as the castle but took the scenic trail close to the lough. Lots of trees at the beginning, holly, rowan and birch, we found quaint little beaches, a wooden boathouse and crossed a bridge over a river. 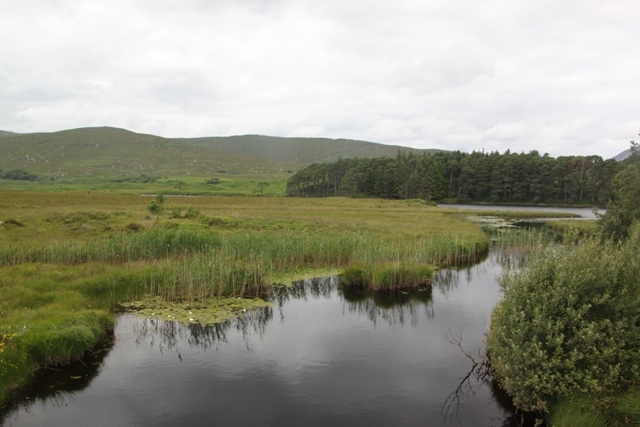 The landscape changed to become more open and treeless, peatland here which Son found fascinating. 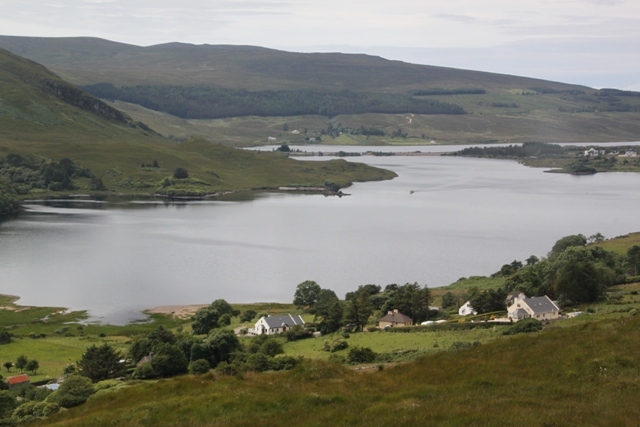 Views of the peatland on one side and the glen and lake on the other – just stunning. We saw no other people, truly a remote and peaceful Irish wilderness. Islets, hillsides and so much to take in – even Son was impressed and loved running free. Leaving the park behind we carried on with our drive through the mountains, progress continuously hampered by those wonderful views which begged for yet another picture stop. Son carried on with his peat fascination pointing out the endless bags all over the hillside waiting to be collected. Through the heritage town of Ardara then we dropped down to sea-level again and left those lovely mountains behind, ready to explore and experience a different side to Donegal – the coast. I have never had the good fortune to go to Donegal but I hope that someday I will. Your pictures have definately made me more determined! It is such a beautiful place – the scenery is glorious. We didn’t really have enough time, would love to go back and do it justice! I love Donegal! We were there last fall and your photos brought back lots of nice memories! We loved it too – the mountain drive was fantastic and afterwards we spent time on the coast – just wish we’d had longer, it blew me away! Looks gorgeous! I can’t wait to make it to that area. Someday. Thanks for sharing! It is stunning – so unspoiled and so beautiful – hope you get to explore sometime!! Just beautiful, Joy. I love these little towns or villages that seem play down in the middle of this gorgeous scenery. We don’t see that very much here in the states, which is something I love about Europe. Thanks again. I love those kind of places too George – just a few houses and a little church in the middle of the mountains in the middle of nowhere. It was such a gorgeous place, we just could have done with more time to explore a bit more. Still, a good excuse to go back…..
OMG, that’s a dream. This view down to the church and the lake… wow, stunning! You have such a big repertoire of beautiful sights around the globe. Thank you, for sharing this all with us! It is completely amazing, I agree Erika – such a stunning place right up in the top of Ireland!! I have been before when it poured with rain – we lucked out with the weather this time and it was all just perfect. I am so happy for you that you are able to go to so many lovely places!!! Looks gorgeous! I’ve lived in Ireland for nearly three years but have never ventured out of Dublin much, partly because I’m terrified of driving. How were the roads? If they’re not too narrow and full of cars or coaches I might give it a go and explore this beauty! The roads were great – not narrow at all and for most of the day we didn’t see another car never mind a coach – I think you would be absolutely fine. We did this drive late July as well, so probably peak tourist time! That’s unbelievable – in July! Try Galway / Cliffs of Moher and the streets are packed including coaches that think they own the road. I’ll definitely have to give it another go and take your route.Thanks! Never been to those areas – would love to but maybe avoid in July!! Another gorgeous post that gives me itchy feet! It’s a wonderfully scenic place – I’ve been before when it has poured with rain, that makes for quite a different experience! Inescapable in Scotland and Ireland! 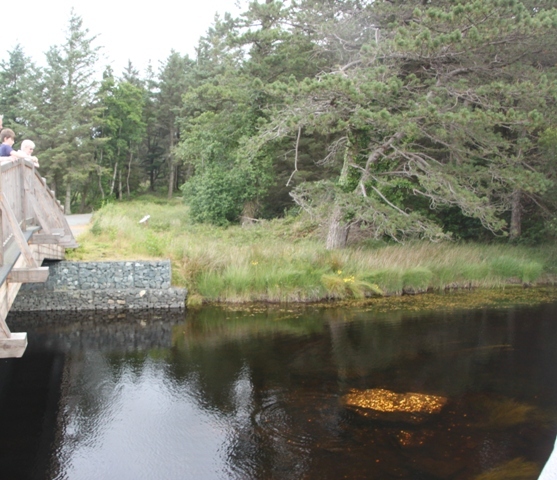 I don’t know the Kerry area at all – been there but a very long time ago – time to go back sometime soon I think!! The Ring of Kerry takes about 3 hours to drive straight through. But if you take your time and follow the odd track down to the coast, it can take a little longer. But it is SO worth the journey!! Keep us posted…. Sounds great – I like the idea of the slower option – thank you for the tip!! I had been to Donegal once before this Suzanne and the weather was awful – pouring rain and windy. We were lucky on this trip, it was dry and (mostly) sunny – it definitely makes for a better experience!! It is a gorgeous spot Andrew, especially if you can avoid the rain!! Last year I went to Ireland and started in Galway and went south. The weather was unbelievably good. This year I will go to Northern Ireland and start in Belfast. Lovely! Sounds like its worth a visit! Must put Ireland on the list soon! It’s fantastic – definitely worth a place on the list!! So green and serene. Perfect! We loved it, so peaceful as well – like we had the whole place to ourselves. Thanks Ami – I know what you mean, the scenery is just gorgeous and the walks are wonderful. I spent five months in Ireland and there was just so much to see that I didn’t make it to Donegal. Looks gorgeous, I’ll have to put it on my list for next time! It is absolutely stunning – the mountain scenery is gorgeous, so unspoilt and definitely worth a trip next time! That scenery is breath-taking and so lush and green. The last 2 times I’ve been to Donegal it has poured with rain – hence the lush, green scenery!! This time it was dry and gorgeous – a very different experience! Ha! Yes, Scotland is gorgeously green for the same reason. We loved the fact we had the whole place to ourselves Rosemary – so unspoilt and just gorgeous. This was just a bit of a taster for us though, would love to go back with more time and explore properly! It seems to look a bit like the lake District, minus all the tourists !! Ireland is definitively on my to-do-list ! It is a bit like that and definitely more empty!! I loved the mountains here, would love to go back and spend more time exploring. It was – quiet, unspoiled and so lovely – the perfect escape! Amazing beauty! The mountains and lakes are so picturesque with a castle to top it off. I wanted to get to County Donegal but there just wasn’t enough time. 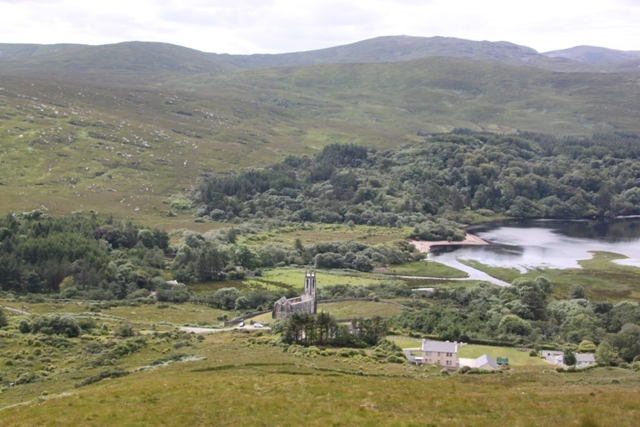 After planning our trip I saw so many references to scenic beauty along the Wild Atlantic Way in Donegal. I can’t wait to see your photos along the coast. It’s hard having to pick and choose – we did have the same problem with this trip, not enough time to explore as much as I would have liked. We visit Ireland to see family and then try and fit another trip in as well – this was a bit of a rushed expedition but has definitely left me intent to go back to Donegal and do it justice! Wow and wow. 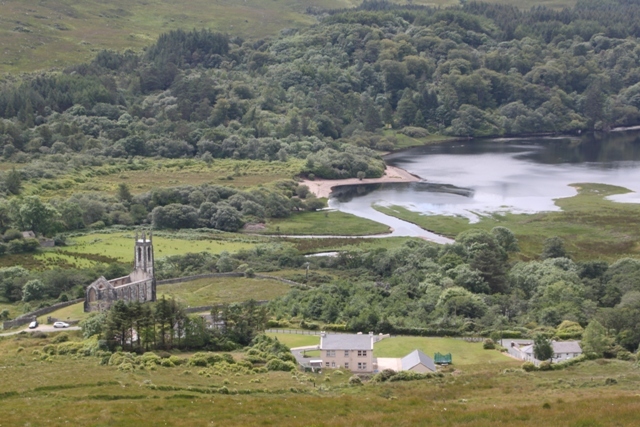 Donegal looks stunning – your photos are wonderful. I think I’ve mentioned we’ve always wanted to drive around Ireland, and your trip sounds perfect – particularly the part about it being easy and quiet. Think that would suit us down to the ground. Easy and quiet suits us too – the mountain area was perfect if you like it like this!! Always interesting to read about Ireland Joy. Thanks. Wonderful post. My husband’s mother’s family is from Donegal, not far from Glen Veagh. His auntie used to cut her peats nearby, bless her. We haven’t been back for a few years – would love to be there just now. It’s such a beautiful and peaceful place, we just loved it. 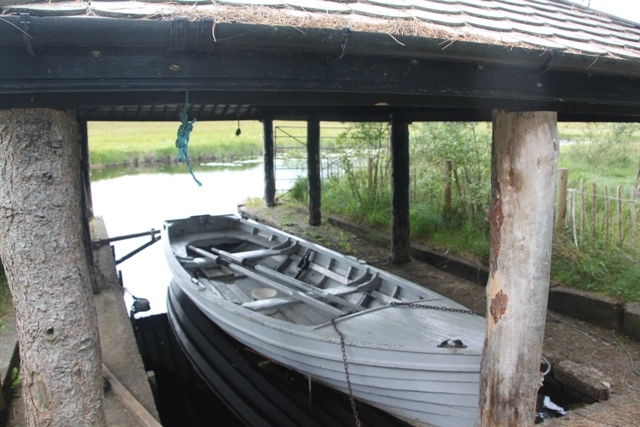 The peat intrigued us too – sounds like back breaking work though! !